It has been a thrilling ride on Book Your Stocking this holiday season, and to close out the book-recommendation series that you look forward to all year, is Henry, age 5. What book would you want to find in your stocking this year? Why would you want this book? Because I have it at school. What do you like so well about it? I want to read it all nights until Christmas. 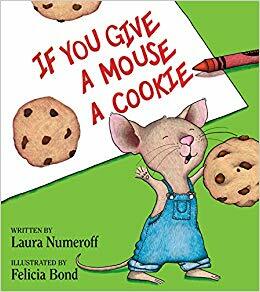 The mouse that wants cookies. 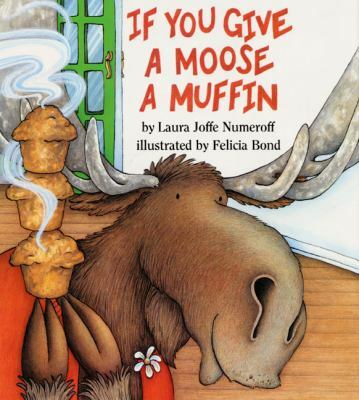 Also, I would want a book that Give a Moose a Muffin. They're painting and then a lot of paint splashed on the moose. [Uncontained laughter.] The moose fell and then boom, the pig fell also. The moose fell and the pig fell right on the moose. Oh man. They painted after the moose had a muffin. Henry is five and lives in Spokane. Clearly, you're standing in the bookstore reading today's book recommendation because this is the last Sunday before stockings are stuffed, and because you're using Book Your Stocking as your virtual book-list. Good. Now that we have that established, please welcome today's reader, Aileen Keown Vaux, with your day-before-the-eve book-wish. 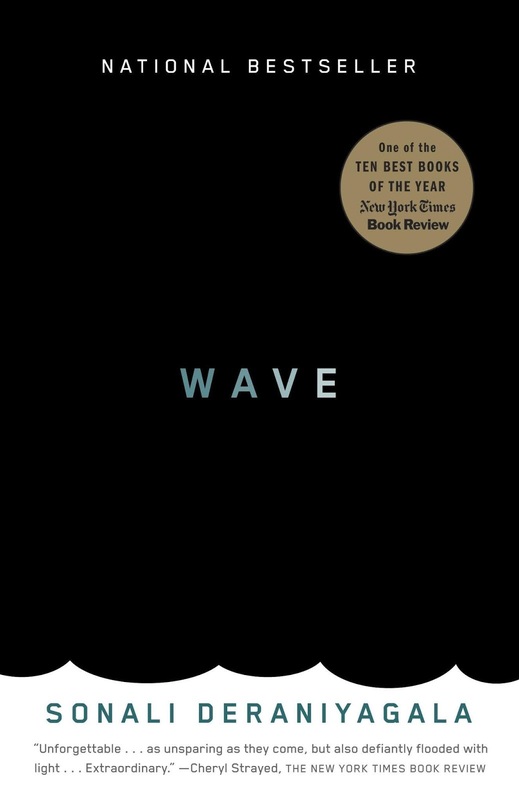 The book I would want to see in my stocking this year is Wave by Sonali Deraniyagala a memoir written by an economics professor who lost her family (parents, husband, and two sons) to the 2004 Sri Lankan tsunami. Wave is exacting in its recall of events from that day, along with memories of Deraniyagala's past life, and her subsequent recovery. I checked this book out from the public library last fall on a whim and haven't stopped thinking about it since. The book is as much a celebration of her family as it is a chronicle of devastation and those two aspects combined make for one of the most haunting reading experiences I've had in awhile. Wave is a testament to one woman's strength, but also a record of how important language is to convey our realities to others. Find Wave at your bookstore. Discover Wave at your library. Learn more about the book from the publisher website. 'Tis the last weekend for book-buying before the biggish day, so it's good you're here for another reading recommendation for your stocking and the stockings of people you love or like. Maya Jewell Zeller is here to help. 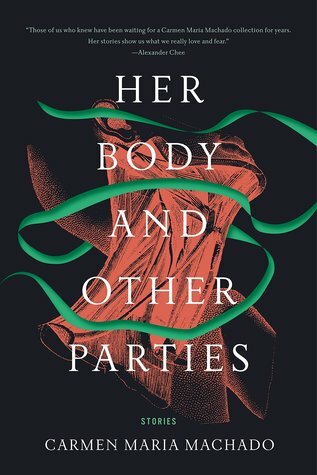 Daniels explores subjects with a lyricism I admire; her deft weaving of Sergei Esenin, Charlotte Perkins Gilman, Leonard Wolf, and her own narrative offers a poetic rendering of the topic of mental illness. 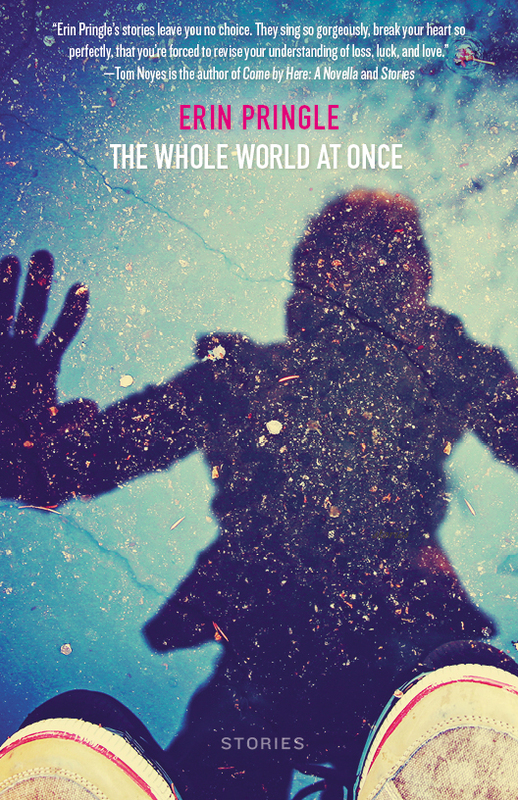 She also portrays the images of the world through a lovely slanted lensing. Find Ladies Lazarus at your bookstore. 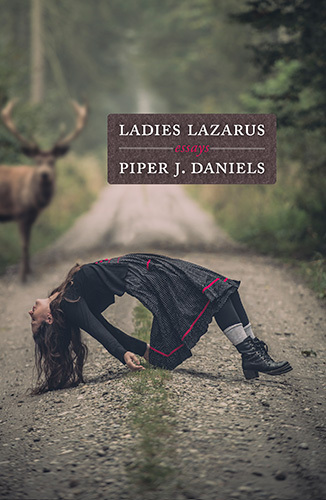 Discover Ladies Lazarus at your library. Learn more about Piper J. Daniels at her website. Here we are, twenty days into December and no sign to the end of books that could appear in your stocking or the sock drawers of your favorite people. And, so, let's keep this daily book-wish experience going. 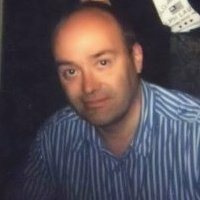 Please welcome writer, publisher, and avid reader, Sharma Shields. I've already read this title, as a checkout from Spokane County Library District, and I would love to own a copy. 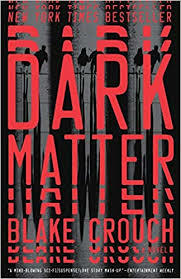 It's a dark, dark book (it begins with the aftermath of a brutal murder of two children, so don't gift this to a lighthearted reader on your list), but it's also a blunt and perfectly executed commentary on parenthood, privilege, race, and class. An expert study in pacing, it's impossible to put down, but also multi-layered, even-toned, and smart as hell. 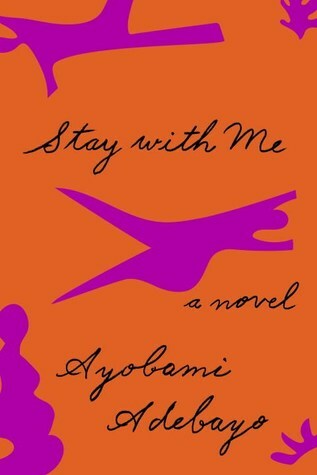 Translated from the French; it's always a great idea to gift women writers in translation. 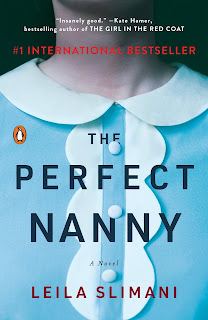 Find The Perfect Nanny at your local bookstore. 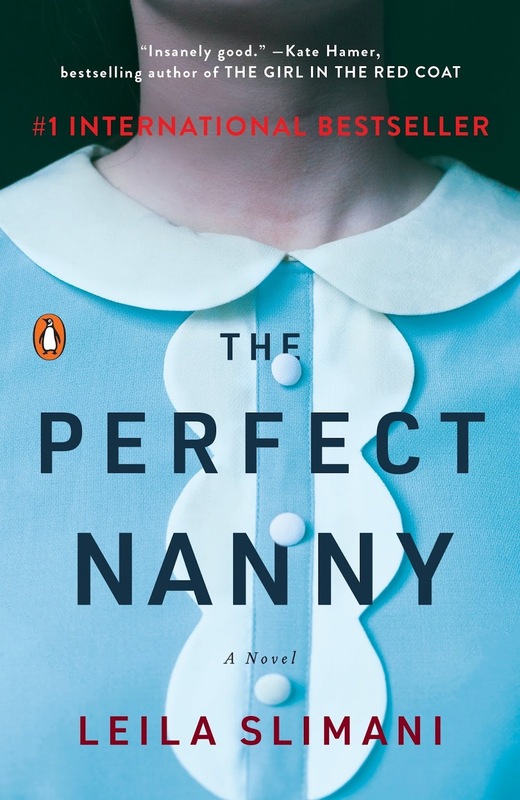 Discover The Perfect Nanny at your library. Learn more about Leila Slimani here. You're back, Stocking Reader. Good. You know where you are, but if you are not you, but new, you've reached Book Your Stocking, the annual holiday series in which avid readers share the books they'd love to discover in their stockings, or leg warmers, or sock drawers. Please welcome today's guest, film and literature professor, Barbara Williamson. I haven’t read this book yet, but it seems to ping many of my buttons: cultism, survivalism, local area issues, childhood trauma, the meaning and power of education, and the ability to overcome against the odds. Named one of the 10 Best Books of the Year by the New York Times, Educated: A Memoir, recounts Westover’s experience growing up isolated in an abusive, rural Idaho home with a father who believed public school was indoctrination. 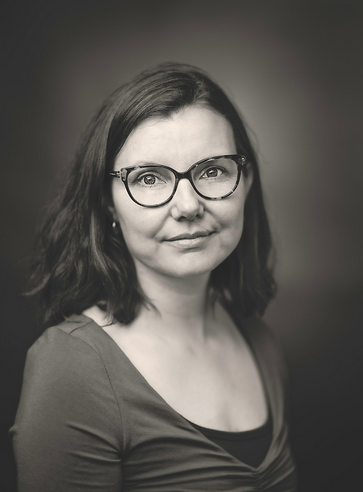 Eventually, she earns her Ph.D. from Cambridge, and this book is her journey. I am attracted to such books, I think, because I wasn’t supposed to make something of myself, so watching that process of transformation in others is both heartening and inspiring, and I think we need inspiring at this point in history. Find Educated at your local bookstore. 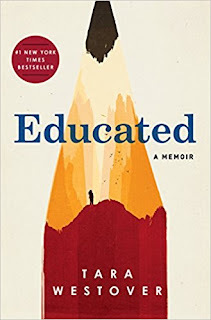 Discover Educated at your library. 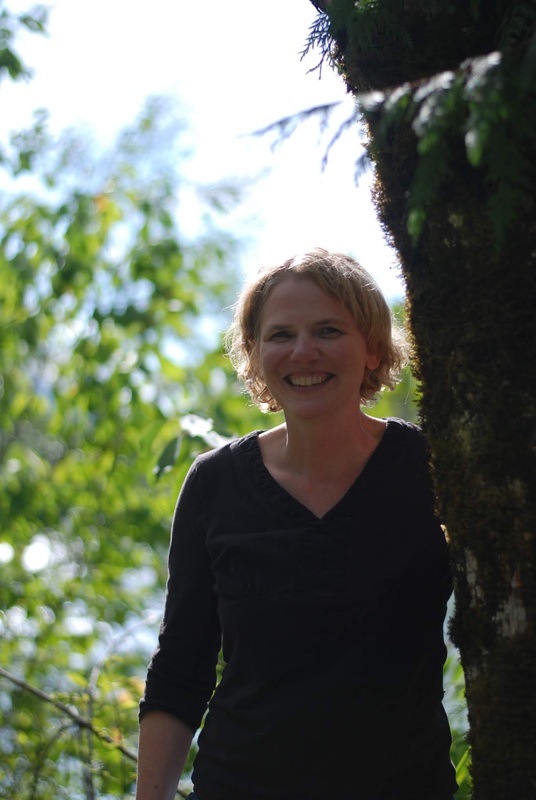 Learn more about Tara Westover at her website. Barbara Williamson is both a high-school dropout and a proud community-college graduate. She eventually moved on to earn other degrees, including a Ph.D. with a triple emphasis: Popular Culture with an emphasis in film, Women’s Literature, and 20th Century American and Canadian Literature. 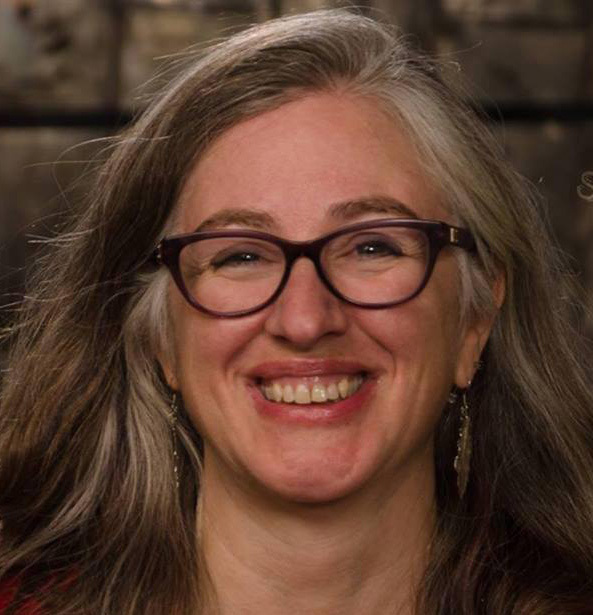 She loves teaching film, cultural studies, literature and writing, particularly at a community college, and particularly at Spokane Falls, because she believes teaching at a community college is an act of revolution. You've found yourself at Book Your Stocking, the annual reading series in which writers and readers wish for the book they most want to discover in their stocking or sock drawer this year. 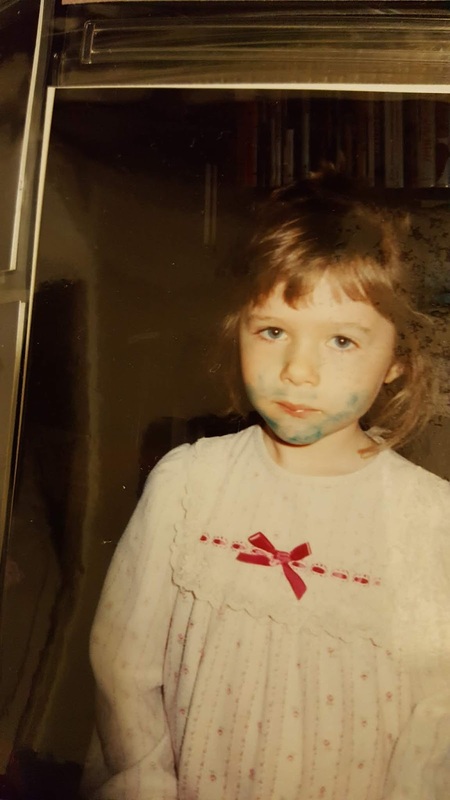 Please welcome Sarah Bartusch to today's edition. So, I really struggle to make time for myself to read. 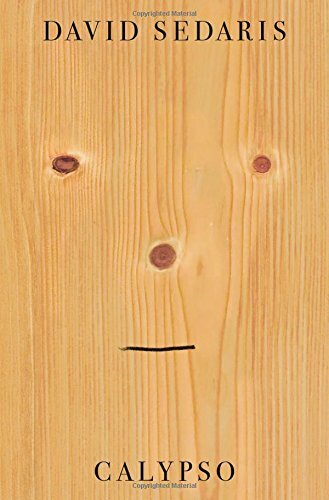 However, I really, really enjoy David Sedaris's books, essays, diaries, and so on. I love his dry, dark humor. I almost need a diaper when reading his stuff. He says what I think--only funnier. I read that Calypso is Sedaris' "top read," and if I love all of the other books that I've read so far, then this must be an amusing riot! Find Calypso at your bookstore. Discover Calypso at your library. 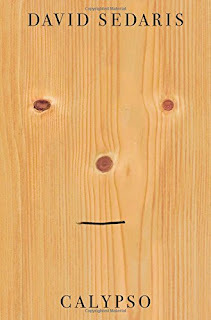 Learn more about Calypso and David Sedaris at his website. For those celebrating the pagan, religious, or some mix of Christmas, we've now entered the last full week before that big day. So few days to write that book you want to give everyone, but enough time to order a book someone else wrote and hide it in your favorite person's stocking or under their pillow or wherever book-surprises happen where you live. Here to recommend such a book is John Kenny, all the way from Dublin. 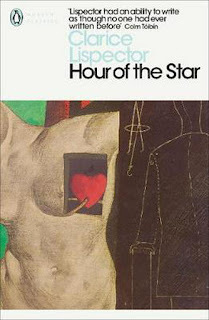 I’d like to pop Hour of the Star by Clarice Lispector into other people’s stockings. It’s the story of Macabea, a young woman living in the slums of Rio who may or may not be real according to the author, Rodrigo, who may or may not be the author Clarice Lispector. 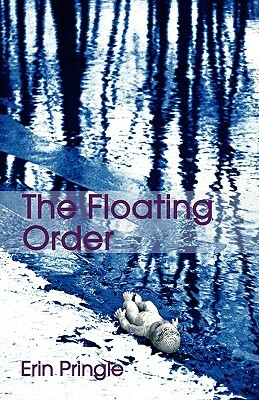 It’s a short novel that is as much about the author, fictitious or real, as it is about Macabea; it’s about the act of writing, and of trying to avoid (or not) imposing a writer’s preconceived notions onto a life; it’s about fiction and the truth of fiction as opposed to reality, or so-called reality. It is at times a maddeningly frustrating read and yet, despite the digressions and the author’s hand very deliberately showing, the story of Macabea’s life shines through in all its splendid constraint; even as we witness the author’s intrusion and artifice, the reader feels for the person of the young woman and her lack of self-awareness and aspiration. Find Hour of the Star at your local bookstore. Discover Hour of the Star at your library. Welcome back to Book Your Stocking, the annual reading series in which readers and writers share the book they most want to discover in their stocking this year, whether that's a book they've read, want to read, or wish existed. Today's reader joins us from Austin, TX by way of a childhood in Cleveland, OH. Please welcome Tatiana Ryckman. I often just think the name of this book as if it's an explanation for something, or an independent thought (similar to Heti's How Should a Person Be?--a question I ask myself often). I've seen the book in shops, I've heard it mentioned by friends, it just seems so ubiquitous and yet I haven't taken the plunge and bought the thing. It's starting to feel absurd that I haven't read it yet. I'd like to put my eyes where my brain is, I guess. 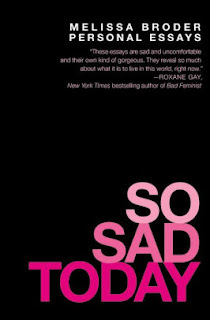 Find So Sad Today at your local bookstore. 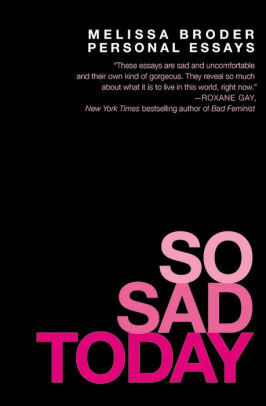 Discover So Sad Today at your library. Learn more about Melissa Broder at her website. TATIANA RYCKMAN is the author of the novella, I Don’t Think of You (Until I Do) and two chapbooks of prose. 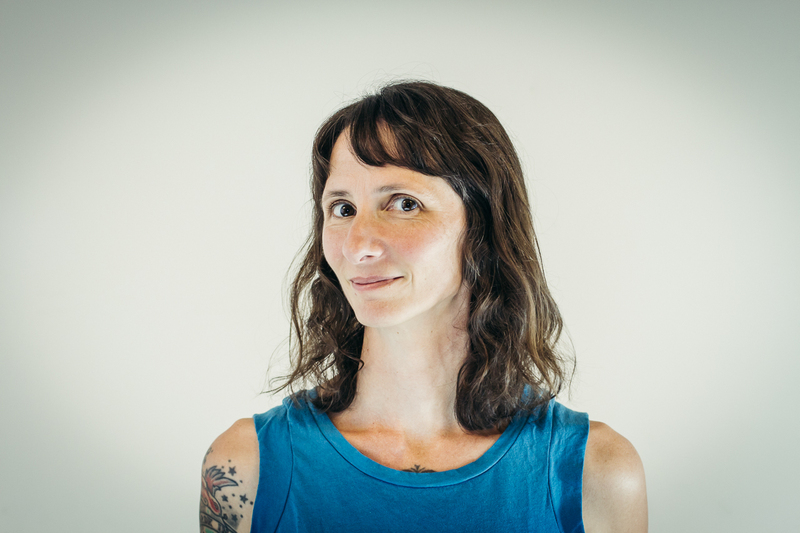 She is the editor of Awst Press and has been a writer in residence at Yaddo, Arthub, and 100W. Her work has appeared in Tin House, Lithub, Paper Darts, Barrelhouse, and other publications. Tatiana can be found on airplanes or at tatianaryckman.com. All December long, avid readers show up on Book Your Stocking to share the book they most want to discover in their stocking this year (or, I think, the book they most want you to discover in your stocking because readers are like that, always wanting to talk to other readers through book selections). And today's book-wisher is writer Melissa Stephenson, all the way from the Midwest, Southwest, and now Northwest. Asymmetry, a novel by Lisa Halliday, came to me on recommendation from someone whose taste I trust, and she was right: I've never read a book like this before. I mean that in a good way. I mean it in the way that I now understand why my friend said, I can't wait to talk about it when you finish. Because this book will whisk you away quickly, with sharp, bright prose and dialogue, and then it becomes something else. And something else again. And again. It's a narrative full of left turns, turns that add gravity and depth to the narrative. If you get it in your stocking, I'd love to talk about it when you finish. Find Asymmetry at your local bookstore. Discover Asymmetry at your library. 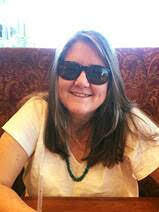 Learn more about Lisa Halliday at her publisher's website. Welcome to Book Your Stocking, an annual reading recommendation series in which writers and readers share the books they'd most love to discover in their stockings, or sock drawers, or doormats this year--whether that's a book they've read, want to read, or wish would exist. 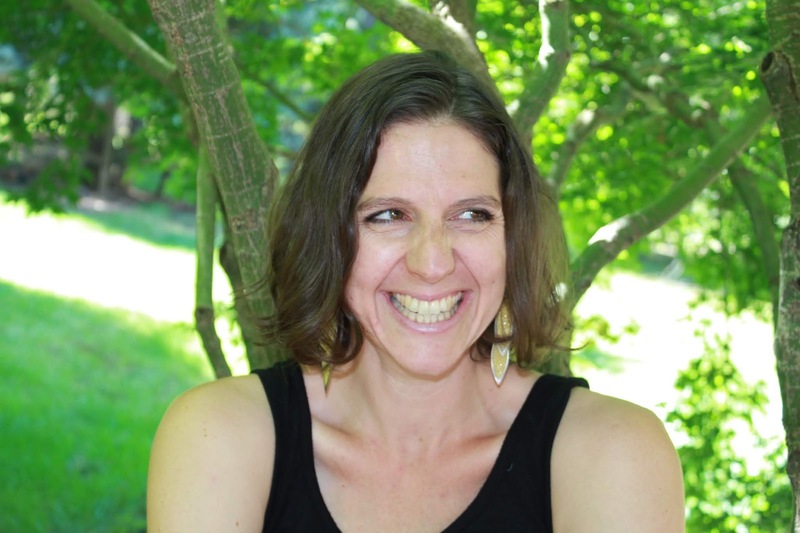 Please welcome novelist Rajia Hassib for sharing today's bok-wish. Edwidge Danticat has always been one of my favorite authors. 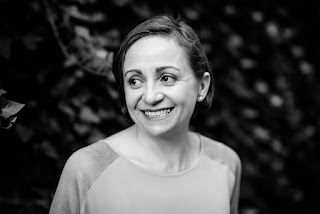 She writes with a tender authority, with compassion and yet with the severity of a truth well drawn, and she masterfully manages to present characters living in a different country and representing a different culture as ones as familiar to us as family—and isn’t that the dream of every minority writer? But I only recently stumbled upon her collection of essays, Create Dangerously: The Immigrant Artist at Work, and I found that it was one of those rare books that I read and felt as if I was the ideal audience for it: a book about writing as an immigrant, about being an immigrant and an artist, about the ties that bind readers and writers of totally different backgrounds. 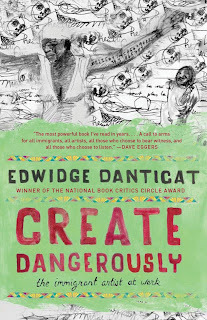 In the book’s titular first chapter, Danticat writes: “Create dangerously, for people who read dangerously. This is what I’ve always thought it meant to be a writer. Writing, knowing in part that no matter how trivial your words may seem, someday, somewhere, someone may risk his or her life to read them.” It’s a reminder of the freedom we take for granted, of the people all around the world who are still persecuted and murdered for attempting to speak their minds, of how writing and reading are often acts of challenging authority, of exhibiting “disobedience to a directive,” and of how, all around the world, peoples still do it all the same. Recent reality is a reminder that such risks are still present, often closer to home than we like to admit. Jamal Khashoggi would agree, I think. Those essays remind me of how important writing is, challenge me to reconsider my identity and how I’m presenting it, and that assure me that we should all be passionate about reading and writing while also challenging me to do better. I love all of Danticat’s work, but these essays have a special place in my heart. Find Create Dangerously at your local bookstore. Discover Create Dangerously at your library. 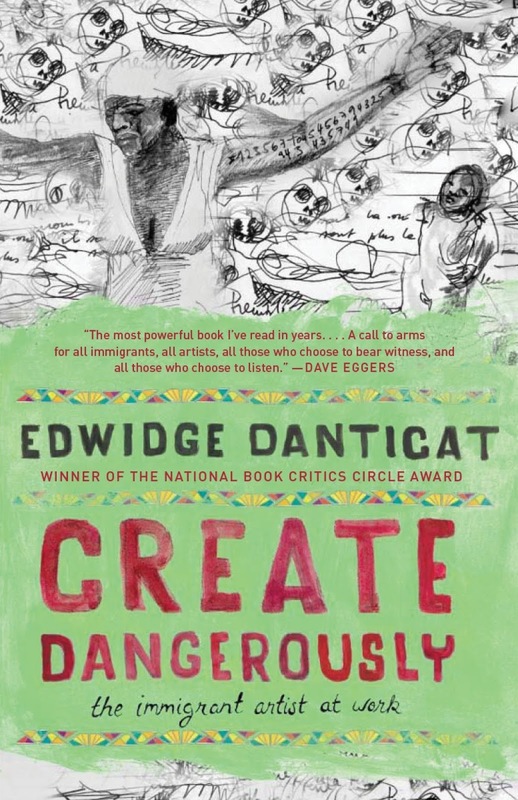 Learn more about Edwidge Danticat at her website. Welcome back to Book Your Stocking, the annual series in which avid readers share the ONE book they'd love to discover in their stocking this winter. Today's reader is The Most Certified of Book Suggesters, which as you know, is a librarian's official title. Thanks to Eva Silverstone for creating today's installment of Book Your Stocking. 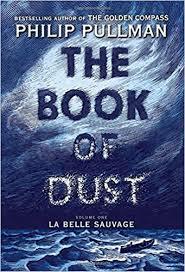 I would love to receive The Book of Dust (Volume 2) by Philip Pullman, but it hasn’t been released yet. His Dark Materials is a three-book series by Philip Pullman that is one of my most favorite ever. La Belle Sauvage is the first book in the follow-up series to His Dark Materials (actually a prequel), and I tore through that book with incredible gusto. I can’t wait for the next installment. Philip Pullman creates a world where magic, religion and life all mix and it’s fascinating and smart and challenges readers to think. I love this! Begin reading the trilogy at your local library. Locate his works at your local bookstore. Eva Silverstone works at the Downtown Public Library in Spokane, WA where she’s in charge of all the art exhibits at that location. 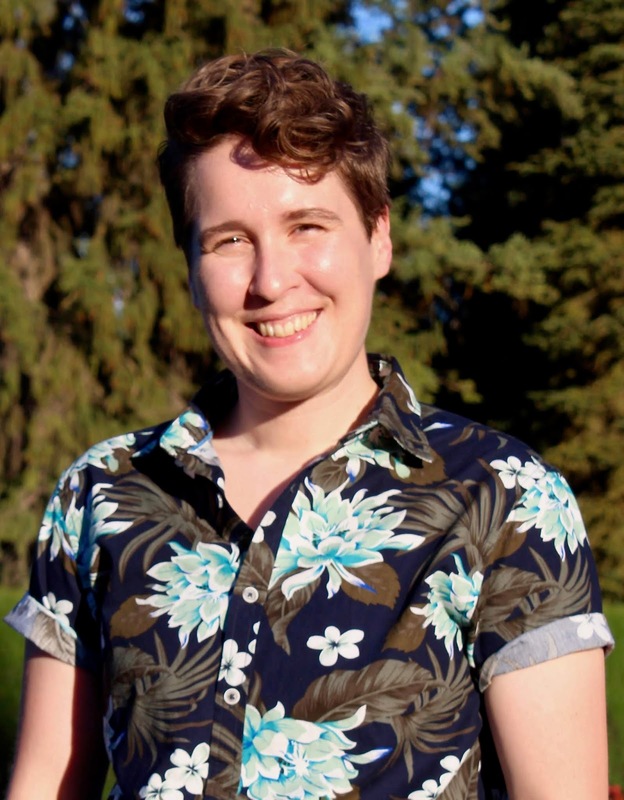 She also works the reference desk, manages the meeting rooms, and does “other duties as assigned.” One of her favorite things is recommending books to people. When not at work, Eva makes her own art which has recently been textile based. 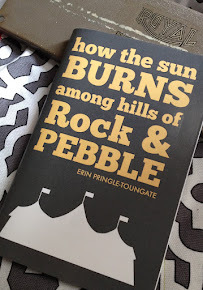 It's the twelfth day of Christmas, and one of my truest book-loving friends is here to share the book he'd be most pleased to pull from his stocking this winter. Please welcome today's reader, Michael Noll. 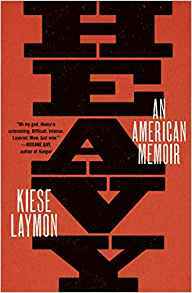 I can't remember the last book that I've finished and immediately thought, "I need to read this again," but that's the case with Kiese Laymon's memoir Heavy. 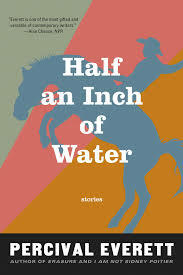 He writes about weight, food, and his childhood growing up the brilliant black son of a brilliant black mother who was a university professor but often scraping by (and sometimes not). The book intentionally cuts across the usual narratives of bootstrap self-improvement found in such stories and is written in one of the most captivating voices in current American prose (which is why the audiobook was named the best of the year by Audible). Find Heavy at your local bookstore. Discover the writer Kiese Laymon at his author website. 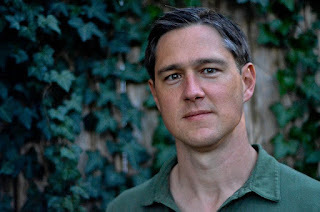 Michael Noll is the author of The Writer's Field Guide to the Craft of Fiction and short stories that have appeared, most recently, in Crazyhorse. He edits the craft-of-writing blog Read to Write Stories and works as the Program Director for the Writers' League of Texas. Learn what books Michael recommended on last year's Book Your Stocking. Thank you for returning to today's Book Your Stocking. Every December day of 2018, avid readers are sharing the one book they'd be glad to find in their winter stocking this year. 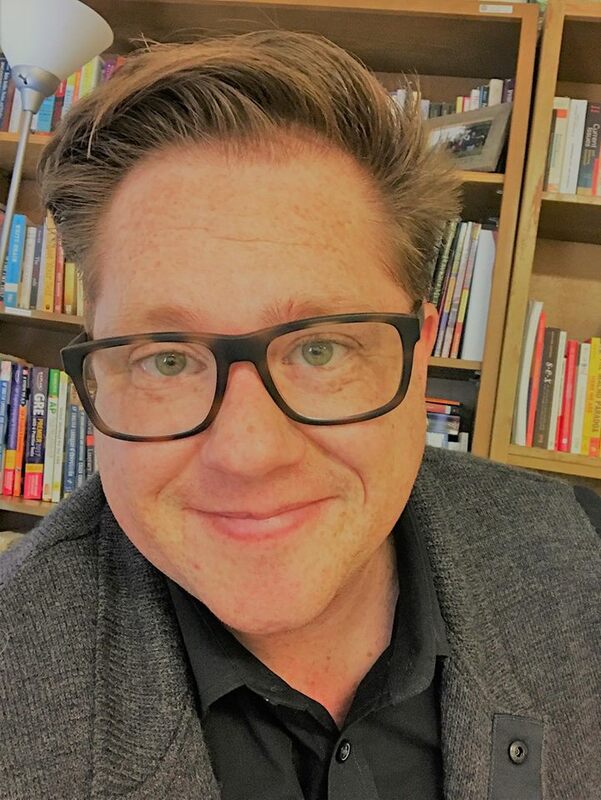 Please welcome Michael J. Wolfe back to this year's edition. Read his last year's book recommendations, here. What could be better than waking up on Christmas morning to a giant book of gay poems with a beheading gracing the cover? My stocking is so tiny and barely fit for a gift-card that for this 700+ page book to be in my stocking would mean something impossible would have occurred overnight, and I’d very much like to believe in that possibility as well as in the magic in Bidart’s poetry. 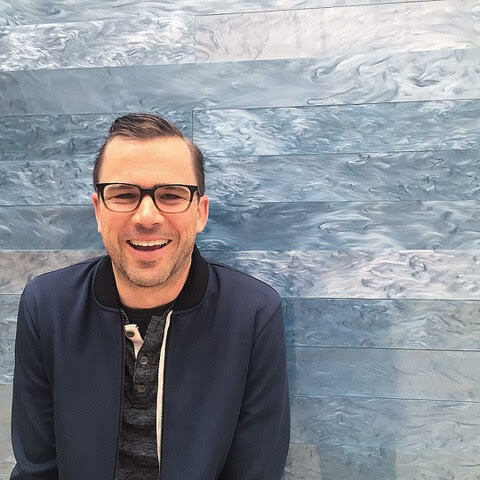 Michael J. Wolfe lives in L.A. where he is currently developing a documentary series based on queer history. He can be found online at WolfeWrites.com. We've officially entered week two of the holiday season. This is the second year of Book Your Stocking, a series in which avid readers recommend the books they've most loved in the past year and would be delighted to find in their own stockings, socks, or slippers. 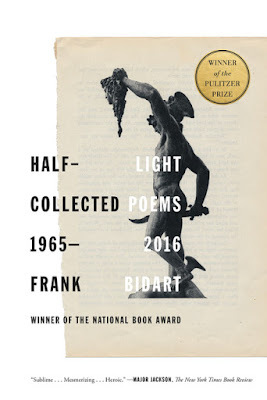 Today's contributor is Jack Kaulfus, whose book-list I meant to feature last year, but I lost the list through the crevices of email and discovered it too late. Luckily, Jack agreed to share the list this year. Please welcome author Jack Kaulfus! One of my favorite books by Everett is Wounded, which is about all my favorite subjects: queer cowboys, horses, and the intersection of cultural violence, racism, and environmental disasters. I was thrilled to see Everett return to this territory, and am happily making my way through these wry, emotionally hefty stories. This book has really stuck with me. 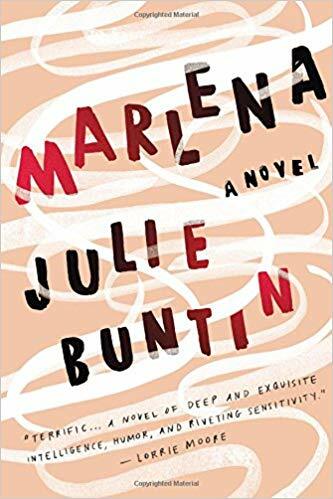 For all its humor and character-driven drama, it's also a fast-paced mystery that tackles mental illness, cultural oppression, and gender identity. 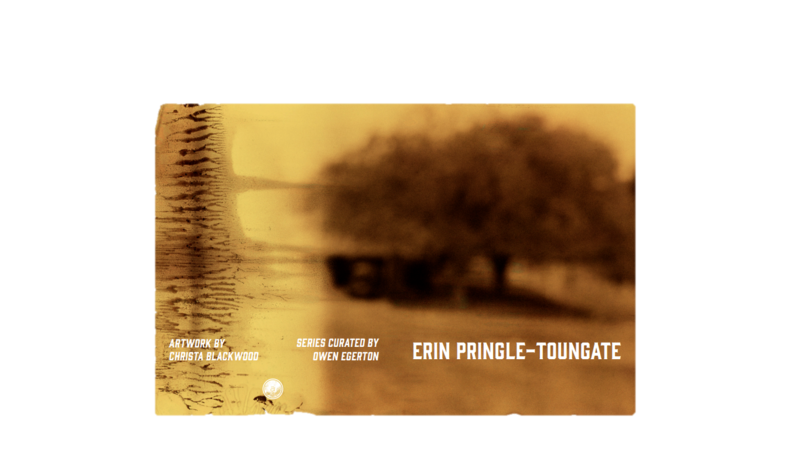 I listened to it, and it was a terrific recording with a excellent voice actor at the helm. If you're like me and you secretly want to move to Wales and never return, this book will do until you can get your hands on some more Welsh fiction. 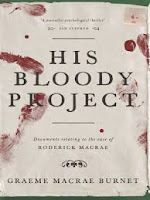 Even though it does take place in Scotland in 1869, it's got murder, peat bogs, and a schoolmaster named Gillie. 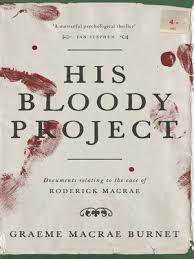 It's a fictionalized dossier detailing the stories of a few people involved in a terrible family murder. The varying points of view deftly examine issues of class, education, and gender, making it a fantastic, layered mystery. Reading this book was like watching a movie. It took a little longer, but not much, and I haven't been able to stop thinking about this particular multiverse since. This may be because I'm sci-fi soft and need my quantum physics to be couched in a dysfunctional family, but this one is two thumbs up for that day you can't afford Netflix anymore but you feel like some Black Mirror. Kind of horrific, kind of funny, kind of inappropriate, complicated, multi-layered, super-feminist. Like every good book should be. I'm so happy this book exists. It's a meditative, page-turning, satisfying story about a beautiful mess of characters in a lot of snow. I barreled through it in the way that you can when you're actually enjoying each sentence. 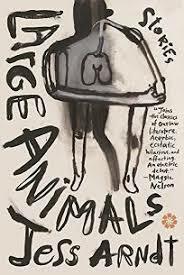 Unabashedly queer and grounded in the visceral, Large Animals is a treasure of original writing, images, and ideas. Carefully crafted around characters who are struggling with some of the most basic questions of being, these stories always seem inches from going off the rails. That element of uncertainty under the control of Arndt is exhilarating and ultimately completely satisfying. Jack Kaulfus is the author of the story collection Tomorrow or Forever (Transgress Press 2018). Jack lives in Austin, Texas with their spouse, Bianca. Learn more about Jack, their writing, and upcoming appearances at jackaulfus.com. Follow Jack on Facebook. One of the best ways to spend a Sunday is with Ann Tweedy. Lucky for everyone, Ann is here today to talk books, wishes, and stockings. 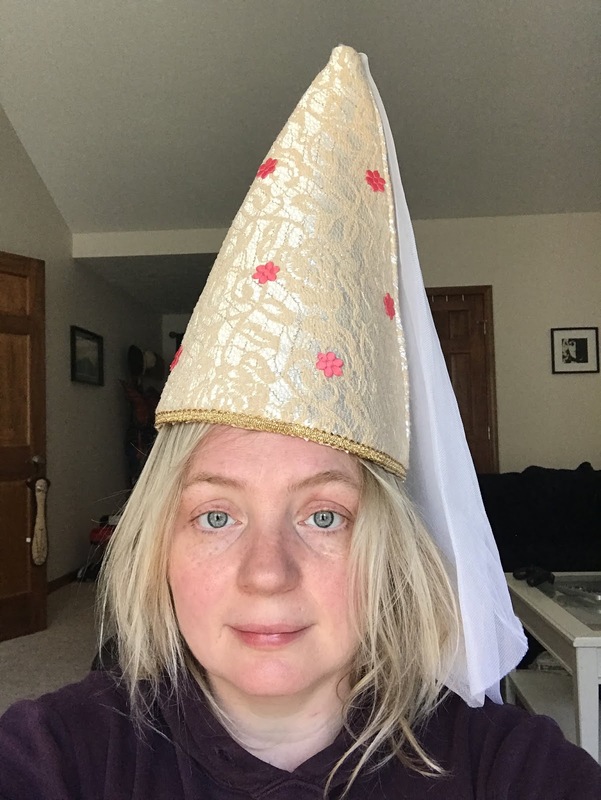 Please welcome Ann to today's edition of your favorite wintertime book-suggestion series. 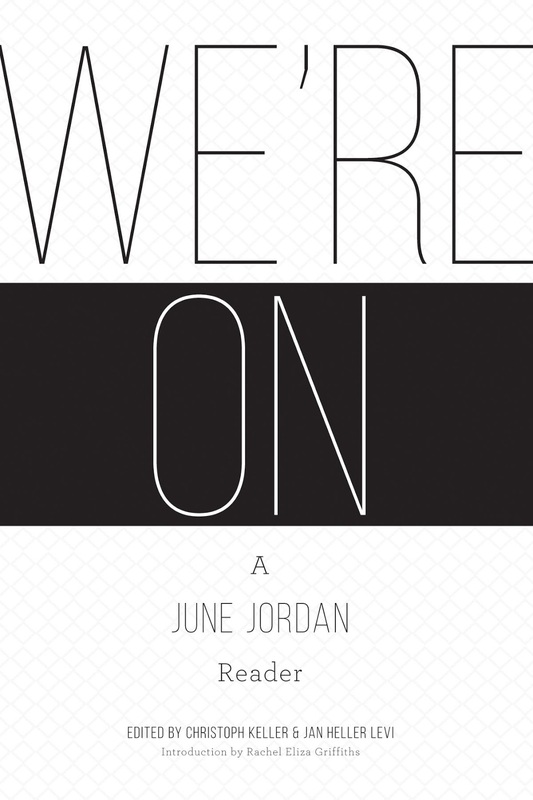 We’re On: A June Jordan Reader, June Jordan, ed: Christoph Keller and Jan Heller Levi. 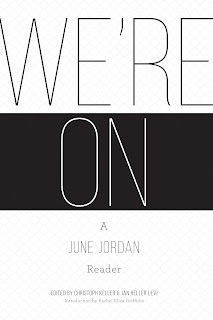 In my stocking this year, I’m hoping to get We’re On: A June Jordan Reader (Alice James Books 2017). I love Jordan’s poetry—her grittiness, her advocacy for racial justice and for sexual freedom, her plain spokenness. As a bi poet, I consider her one of my foremothers and feel empowered by her explicit linking of bisexuality and freedom. Jordan was extremely prolific, publishing over 20 books in her lifetime, so We’re On doesn’t include all of her work. But 500 pages of poetry, prose, and letters will get me well on my way to becoming more intimate with Jordan’s work and poetics. Find We're On at your local bookstore. Discover We're On at your library. Learn more about We're On at its publisher's website. Ann Tweedy is a poet and lawyer for Indian Tribes who currently lives in Pierce County, Washington. She is the author of The Body’s Alphabet (Headmistress Press 2016), which won a Bisexual Book Award and a Human Relations Indie Book Award and was a finalist for a Lambda Literary Award and a Golden Crown Literary Society Award. Visit her website to learn more.